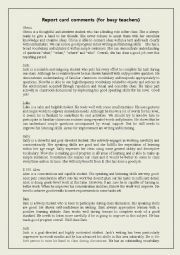 I am just a new teacher who is looking for new, fresh ideas and challenges. Need your help and NEVER HESITATE to support me. Just think about those times you registered here as a new user and then can easily understand my current state. 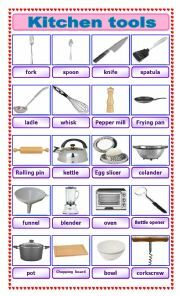 Can find here 20 pictures of things in the kitchen: fork, spoon, knife, spatula, ladle, whisk, pepper mill, frying pan, rolling pin, kettle, egg slicer, colander, funnel, blender, oven, bottle opener, pot, chopping board, bowl, corkscrew. 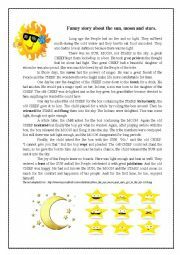 This is an interesting worksheet about how the sun, moon and stars got in the sky. 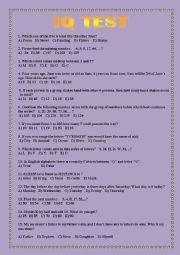 This worksheet contains 2 exercises with their key answers and can be used for both elementary and intermediate levels. Hope you and your students enjoy it. Thank you!!! This is really great IQ test with answers. Hope your sts enjoy it.